Dr. Mahmudul Huque is Professor of History, University of Chittagong, Bangladesh. His research and teaching focuses on South Asian history, foreign policy, security and US interests in the region. Professor Huque has received numerous scholarships, fellowships and awards, including a Foreign Policy Fellowship at the Center for International and Security Studies at Maryland (CISSM), a Korea Foundation Field Research Fellowship and a Senior Fulbright Fellowship. 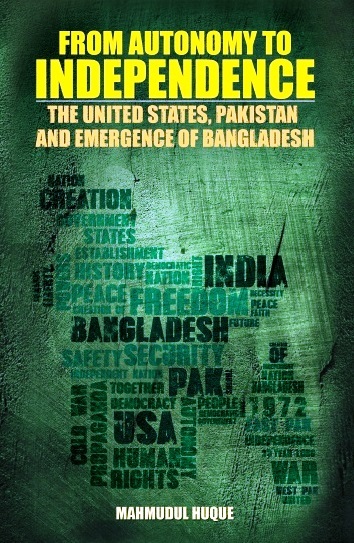 He has authored several books that include The Role of the USA in the India-Pakistan Conflict, 1947-1971: Quest for Stability (Dhaka: Academic Publishers, 1992), History of the Subcontinent and Bengal, 1526-1947 [co-authored in Bengali] (Ghazipur: Bangladesh Open University, 2002) and War and Peace in South Asia, 1947-2002: American Policy in Historical Perspectives (forthcoming). Besides, he has written numerous articles in research journals at home and abroad.